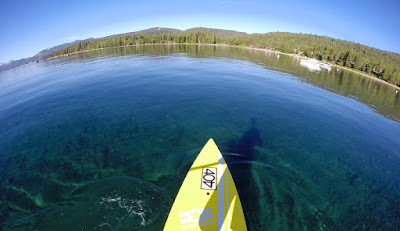 The water level at Lake Tahoe is on the rise again thanks to all the recent precipitation. The latest storm brought 33-36" to Heavenly, Kirkwood 27-37", Mt. Rose 20-24", and Squaw/Alpine 36". All of this snow, combined with recent rain in the area, has brought the lake level up by nearly 2 inches. This lake level rise represents 6.39 billion gallons of water, according to the National Weather Service in Reno. The current lake level sits at 6221.61feet. The level for the same day in 2014 was 6222.56, and 6223.63 in 2013. After 4 years of drought, the latest weather pattern has brought welcome relief. Skiers and boarders are loving it. Expect great skiing/riding for the upcoming holidays. In light of recent Hurricane Irene, it's important to discuss pet safety during a storm. We'll discuss all the things you need to do to keep your pet safe, what supplies you'll need, and even what not to do. Liquid smoke is a powerful and flavorful cooking ingredient that you can add to meats and other foods to give them a smoky barbecue flavor. It is possible to ... Get a chimney starter full of charcoal burning.When the .. Is cherry wood good for smoking ribs?